UHB Ultra High Brightness intraoral mirrors feature a dielectric coating with a maximum reflectance of over 99%. The image to the left shows the mouth model and its reflection and the brightness is identical in the reflected image. 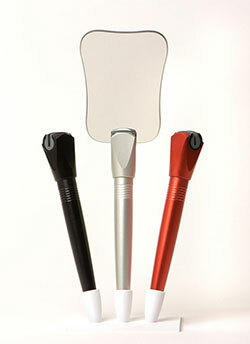 Our Universal Mirror Handle has been very popular and it is now available in three colors - silver, red and black. The Universal Mirror Handle helps to keep fingertips out of your photos and simplifies mirror placement and alignment. 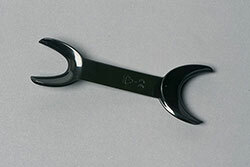 We've been getting requests for black retractors and we now have two styles in stock. The first style is the same shape and size as our clear Buccal retractors. The second style is the same shape and size as our clear Universal Short retractors. The polar_eyes Cross Polarization Filter has been very popular since its introduction and we now have a version for the Nissin MF18 macro flash. 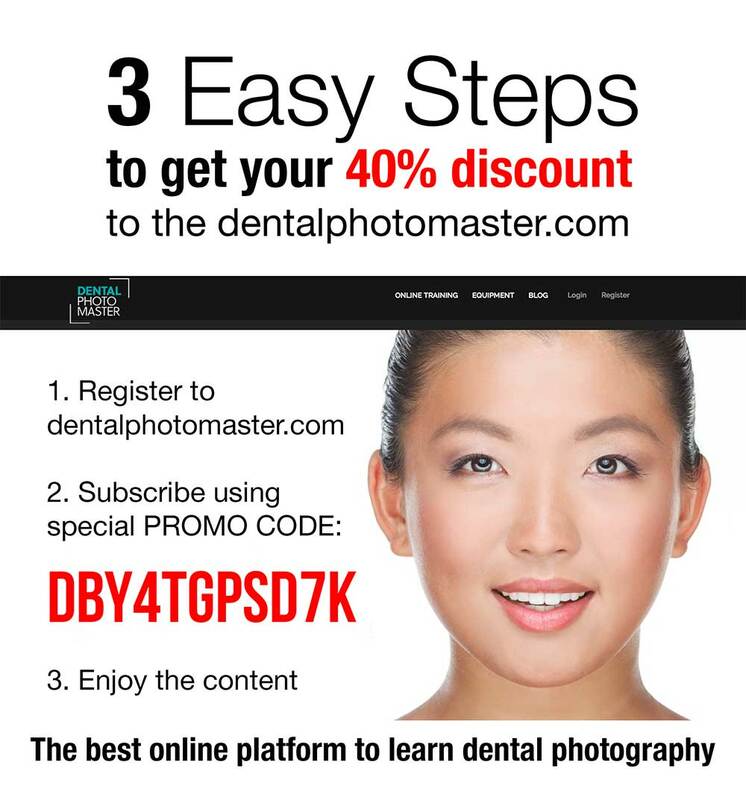 DentalPhotoMaster.com - 40% Discount Offer! We have offered Dr. Kris Chmielewski's Dental Photo Master book for the last couple of years and Dr. Chmielewski and his team have created one of the best online sources for dental photography education. 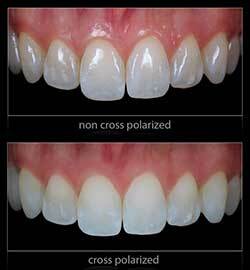 Dentalphotomaster.com features instructional videos that range from the very basics to advanced techniques. Use the special promo code in the link below to save 40% on a 12 month subscription.